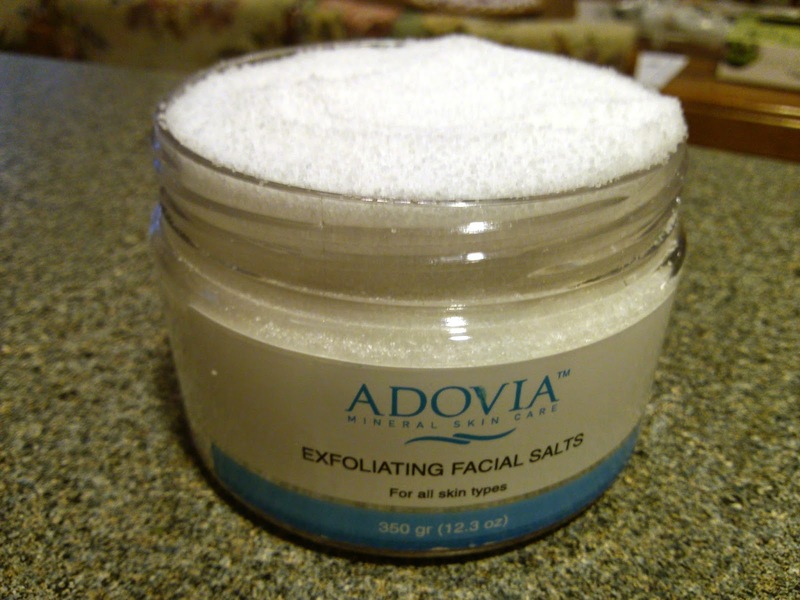 Adovia is a brand that I've reviewed before and really enjoy - They incorporate responsibly-gathered Dead Sea salts and minerals into their facial products. Today I am reviewing the Exfoliating Facial Salts, which are 100% pure Dead Sea salts finely ground for facial use. The large jar is packed full of salt - enough for at least a two months' supply. The basic directions are to apply salt to a clean, wet face and massage gently to exfoliate. Then rinse off with warm water and follow with a moisturizing cream. This is great for oily and combination skin. However, if you have normal to dry skin, you can either mix the salts with a gentle cleanser or olive oil to create a more soothing scrub. I have sensitive skin so I just made sure to rub very gently, which works well for me. It does the job without causing redness or irritation on my skin. The use of salts to exfoliate your facial skin not only infuses your skin with minerals from the Dead Sea, but it helps to remove dead skin cells and unclog pores, while also stimulating circulation and tightening pores. It's basically a microdermabrasion for a fraction of the cost. The huge jar is only $19! These facial salts really help with the occasional flakiness that I get on certain areas of my face. After exfoliating, my skin is left feeling super soft and healthy. These salts would also work well as a body scrub or in DIY recipes for scrubs and facial masks.